Maybe it’s the fact that I’m on the upwards side of my 30s or that in three short years I’ve had two kids, but I recently started thinking a lot more about aging. Do I need to start a new skin-care regimen? Anti-aging face cream costs how much?!? In addition to worrying about my skin, I’ve also started taking a closer look at what I eat on a daily basis. The fact is, heart disease is the leading cause of death in the United States (I know, I know, thanks for the buzzkill), but making dietary changes is a practical step anyone can take if they’ve got healthy aging on the brain. IBX: What makes a particular food heart-healthy? Danielle: Heart-healthy foods are real, whole, natural foods. To maintain a heart-healthy diet, you should limit processed foods that are full of unhealthy additives. Heart-healthy diets are free of, or low in, sodium, added sugars, hydrogenated oils, saturated fats, and the ultimate no-no, trans fats. IBX: Why is sodium bad for your heart? Danielle: A high-sodium diet can cause hypertension (high blood pressure). Fluid follows sodium, so when you consume a high-sodium diet, your body retains fluid. This includes fluid going to your blood vessels, which can lead to high blood pressure and increase your risk of heart attack and stroke. The important thing to remember is, only 30 percent of your sodium intake comes from the salt shaker. Seventy percent of your overall sodium intake comes from processed foods. IBX: Why are added sugars bad for your heart? Danielle: Added sugars are unhealthy because they cause inflammation and elevate trigylcerides, or the amount of fat in your blood. Inflammation causes chronic disease and elevated triglycerides increase your risk of a cardiovascular event. IBX: Why is saturated fat bad for your heart? Danielle: Saturated fat (which is commonly found in animal products like beef, whole milk, butter, cheese, etc.) elevates your total cholesterol levels, which increases your risk of heart attack and stroke. It also causes inflammation in the body, which stems all chronic disease. Ideally, you should limit saturated fat intake to ten percent of your total caloric intake. If you currently have heart disease, the recommendation is less than seven percent saturated fat in your diet. IBX: Why is trans fat bad for your heart? Danielle: There’s no real way to water it down: trans fat is the worst kind of fat and should be avoided at all costs. It negatively affects your cholesterol by elevating the LDL or “bad” cholesterol, and lowering your HDL or “good” cholesterol. The LDL “bad” cholesterol increases plaque formation in your arteries and increases your risk of developing a cardiovascular event. The HDL “good” cholesterol cleans out your arteries to protect your heart. Trans fats have the reverse effect on your heart health and should be avoided. Trans fats are often found in packaged foods like chips, cakes, cookies, cereals, granola bars, and even peanut butter. IBX: Peanut butter?!? A little part of me died when I read that. I thought nuts were good for you?! Danielle: You can still have peanut butter, just make sure to choose the natural peanut butters that are free of trans fats and hydrogenated oils. IBX: Whew! What about the butter versus margarine debate? Danielle: Margarine contains trans fat so stick to butter. I tell my clients I’d rather they have a small amount of butter (despite the saturated fat) than any amount of trans fat. Pro tip: Even if the nutrition label lists a big fat zero next to “trans fat,” make sure you read the ingredient list as well. If the ingredient list shows “hydrogenated oils,” buyer beware: hydrogenated oils turn into trans fats. IBX: So, give me some good news. Danielle: Dietary cholesterol is no longer a major factor in your overall health because the latest research shows that dietary cholesterol (cholesterol that comes from the food we eat) has no impact on our total cholesterol. What does affect your total cholesterol is the amount of saturated fat and trans fat that you consume. However, that’s not a free pass to cruise through the drive-through. Many foods that are high in cholesterol also happen to be high in saturated fat and will elevate your total cholesterol levels (see above). IBX: Ok, so what does a heart-healthy diet look like? Please tell me it’s not just wheatgrass and kale. Danielle: A heart-healthy diet is one that is rich in fiber and the “good fats”: monounsaturated fats, polyunsaturated fats, and omega-3 fatty acids. IBX: That kinda sounds like gibberish to me. Why are those things good for me? Danielle: Fiber lowers your body’s total cholesterol. Omega-3 fatty acids lower trigylcerides. Monounsaturated fats lower your bad cholesterol and help you maintain good cholesterol. And polyunsaturated fats lower your bad cholesterol as well. IBX: So, if you had to pick, what are your top five heart-healthy foods? Danielle: Avocado, nuts, fish, berries, beans/legumes. Avocados are one of the highest sources of monounsaturated fats, and they lower bad cholesterol. IBX: Great. That makes me feel better about always paying extra for guacamole. Danielle: Nuts are great for you because they are packed with protein and fiber. They also contain those “good” fats — monounsaturated and polyunsaturated fats — that lower bad cholesterol levels. Walnuts, in particular, are the highest in omega-3 fatty acids. Fish is a great source of protein and heart-healthy fats. It’s a great source of omega-3 fatty acids, those fats that lower your trigylcerides or amount of fat in your blood. Salmon, in particular is highest in those omega-3s and contain heart-healthy polyunsaturated fat. Strawberries, raspberries, blueberries. Whichever you choose, berries are high in fiber, and phytochemicals, which lower inflammation in your body. IBX: What about berries dipped in chocolate? Like, say, chocolate-covered strawberries? Danielle: As long as you stick to dark chocolate. Studies have shown that dark chocolate (in moderation) may help lower blood pressure in people with hypertension. This is mostly due to the flavonoids in the cocoa bean that cause dilation of the blood vessels. Chocolate with a higher cocoa content (like dark chocolate) will contain more flavonoids. Beans and legumes are another heart-healthy food due to their high levels of fiber and protein. Black beans, chickpeas, and hummus are powerhouses in the heart department. IBX: So the old childhood rhyme “Beans, beans, they’re good for your heart….” is accurate? Danielle: Yes. I can at least vouch for the accuracy of the first part of that…. IBX: What are some easy heart-healthy food swaps or other heart-healthy recommendations you have? Danielle: First, one of the main things I recommend is actually a cooking technique that helps you achieve a fried taste without the added fat: bake and then finish with a quick broil. I do this often with sweet potato fries, Brussels sprouts, and any other vegetable that you would normally fry. I also recommend my clients incorporate some fermented foods into their diets. Americans don’t eat many gut-friendly fermented foods and are missing out on some key health benefits such as improved digestion or an immunity boost. Try kimchi, tempeh, kombucha, kefir, or sauerkraut to start. Plain yogurt: Swap out sour cream for plain fat-free Greek yogurt. It has the same consistency but double the amount of protein. Plus, it contains powerful probiotics which increase the good bacteria in our gut. (Fun fact: our gut controls 70 to 80 percent of our immune system.) Use plain, fat-free Greek yogurt on chili, tacos, and in creamy dips such as spinach dip, and no one will be able to tell the difference. Avocado: The creaminess of avocado makes it the perfect heart-healthy sandwich spread. Smear on sandwiches or use in chicken or tuna salads in place of mayonnaise. Olive oil: When cooking, instead of butter, try using heart-healthy olive oil, which is high in monosaturated fats — those “good” fats that lower your total cholesterol. In fact, olive oil is the only source of monosaturated fat that has been shown to reduce your risk of heart disease and stroke. Low-fat dairy: I always recommend replacing full fat dairy products like milk and cheese with their low-fat or fat-free counterparts. Full fat dairy products are full of those unhealthy saturated fats that can elevate your total cholesterol and inflammation, leading to heart disease. Looking for more tips on a heart-healthy diet? 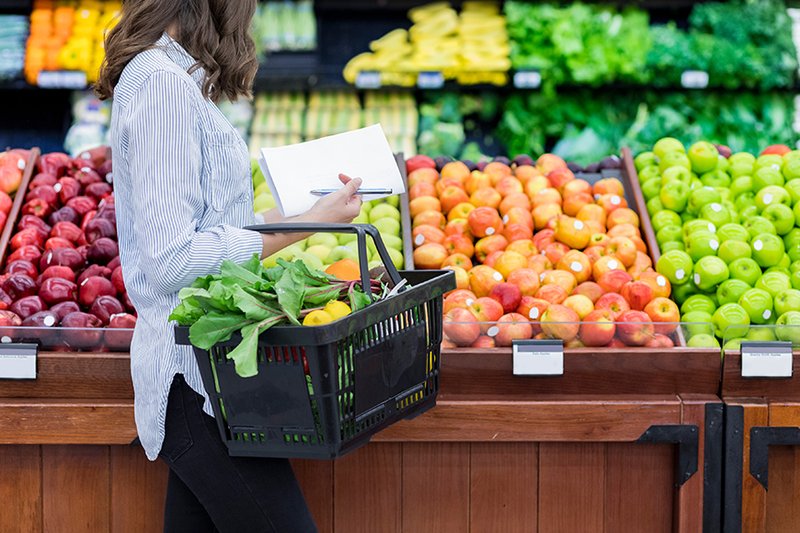 If you’re an IBX member, you may be covered for six free annual visits with a registered dietitian who can help you come up with a heart-healthy diet that is realistic for your lifestyle. Check to see if your plan covers nutrition counseling. To find a participating registered dietitian, primary care provider, or another network provider, Independence Blue Cross members can search our Provider Finder Tool or call 1-800-ASK-BLUE (1-800-275-2583) (TTY: 711). To learn more about the services Danielle offers, or to make an appointment, visit her website or contact her at 610-331-5439 or by email.